Was $9,616.00! For a limited time now only $5,243.00 (Cost of tuition: ALC, AHC, ATY/ TCP and a $75.00 application fee) for the first six Teacher Candidate students registered by March 24th. 2019, 5:00pm! Now Approved for Qualification for NAIC and or SMOCH Medical Commission and or Ministerial Vocational Licensure! Sign Up Now and we will now Include All Three Ayurveda/ Yoga Therapy Certificate programs in addition to your SomaVeda® Thai Yoga Teacher Certification at NO additional Fee! SomaVeda College of Natural Medicine: Thai Yoga Center comprehensive SomaVeda® Thai Yoga Teacher Certification Program contains more than 20 comprehensive courses, programs and lessons, covering topics in the areas of Ayurveda, Yoga Sciences and Therapy, and Pancha Karma, Oriental Medicine, Holistic Nutrition, Herbology, Environmental Medicine, Energy work, Mind-body medicine, Anatomy and Physiology, Medical and Healing terminology, Homeopathy, Radionics, Vitalism, Naturopathic Arts/ Sciences and more. Our program is a combination of intensive hands on, in class training’s and practice combined with self paced distance learning/ home study. This allows the greatest flexibility and personal programming for the unique and individual needs of students. A SomaVeda® Certified Thai Yoga Therapy and/ or SomaVeda® Thai Massage Teacher is someone who is an expert in various aspects of SomaVeda® style Integrated Traditional Therapies specializing in Thai Traditional Medicine, Ayurveda based Thai Yoga Therapy, Thai Massage, Nuad Boran and related holistic health and is able to offer students and clients a wide array of Yoga based educational and natural treatment options. An TCP graduate is able to use the latest advances in nutrition and holistic medicine to offer positive lifestyle changes, and Thai Yoga based wellness and exercise program. A TCP graduate has knowledge of anatomy, medical terminology, and possesses strong empathy for his fellow men and women. A TCP Provider is a true holistic educational consultant and specialist in SomaVeda®. What is SomaVeda® Thai Yoga? Basically, Thai Yoga involves moving from a state of non-health into health using only natural means. By “natural” we mean originating in nature or natural processes, safe, non-invasive, holistic, organic, not involving drugs and or surgical procedures. Natural is harnessing the powers of nature as methods to restore harmony and equilibrium of mind, body and spirit. To bring the whole person into balance and all of their disparate parts into balance. The holistic practitioner addresses the vital energy, the Qi or chi, the meridians, the Chakra, the breath, using safe and natural herbs and natural substances. The hands on balancing is via traditional indigenous and oriental systems including but not limited to Thai Traditional Medicine Theory and practice, Thai Yoga (Traditional Thai Massage), Traditional Ayurveda, Traditional Chinese medicine, Western Traditional Naturopathy, nutrition and supplementation. Strategies to cleanse and detoxify the whole person of everything from parasites to bad energy and vibrations. Techniques and strategies are utilized to bring back to the person all of the resources that might be deficient or missing from the clients life state keeping them from experiencing optimal wellness and sense of harmony and well being in their body, mind and spirit. The SV-TCP uses traditional Ayurveda, Thai Yoga Therapy, Yoga Vinyasa, flows, Asana and prayer and fasting as well as Puja (therapeutic Prayers), light and sound and touch to act as the genesis of healing and support. This is the best and perhaps one of the most profound and creative professions in the art and science of healing today! A SV-TCP recognizes that the whole person needs to be treated and is able to assess the client’s emotional state, while helping to establish a positive balance between body, mind, and spirit. An TCP graduate works on the premise that the body has an innate healing ability and his/her job lies in helping to establish the right environment for self-healing to take place. The TCP program is included at no additional cost for graduates of both our ASA, BSSc or DSNM/ND as well as our Doctor of Philosophy Sacred Ayurveda Medicine (Ph.D. Ayurveda) Diploma Programs. Opening their own school or program , either full time or part time. Able to issue recognized professional certifications to students. Personal Training and developing holistic programs for individual clients. Professional Clinical practice as an advanced SomaVeda® Ayurveda and Yoga Therapy Practitioner and clinician. Integrating their SomaVeda® into an existing Yoga or therapeutic practice or educational program. Writing articles or books on various aspects of holistic medicine. Operating or working at a health food store. Educating others about SomaVeda® as a true complementary and alternative healing art. * Administrative services from application to transcript evaluation, processing coursework, grading exams, evaluating thesis, dissertation or consulting practicum when applicable. * An embossed diploma upon completion of all graduation requirements. You will be responsible for books, study guides, and for incidental costs such as postage for mailing exams to SCNM for grading, as well as housing and food while in residency. Call the office for details. HH1.5) SomaVeda® Level 5 A & B, Clinical Applications and Development of specific programs for Clients based on Vedic Assessments and Guidelines. HH1.A) SomaVeda® Chair/Workplace Massage Certification. HH1.K Intro to Traditional Natural Health Practitioner/ Counselor Ayurveda: Survey of Natural Medicine Principles and practices. Relevant documentaries with discussion. Please Note: Additional Course work/ Lecture and class activities may be scheduled during CTP1 at Directors discretion! HH2.K) SomaVeda® Thai Yoga Foot Reflexology & Acupressure (Basic) NEW! Please Note: Ayurveda Wellness Counselor Certificate also requires 35 hrs. supervised Practice Log with Dosha Assessments: Additional Course work/ Lecture and class activities may be scheduled during CTP2 at Directors discretion! Please Note: Additional Course work/ Lecture and class activities may be scheduled during CTP3 at Directors discretion! Please Note: Additional Course work/ Lecture and class activities may be scheduled during CTP4 at Directors discretion! 1) CPR: Cardiopulmonary Resuscitation (Active Certificate/ Off site: additional cost) 8hr. 2) Practitioner Clinic, Structured and/ or Supervised Practice ( Credit for practice time to compliment the structured lectures and modules. Minimum required 200 hours. Clinic is self-paced allowing the individual student or practicing professional to complete a diploma program with out necessarily leaving home. Local programs are supervised by local instructors. Tuition is based on a flat fee for hours of credit basis. Includes materials and documentation necessary in order to receive credit toward a specific diploma program. No credit will be given for practice hours outside of this program. The 200 hours documented session minimum must be completed before any SV Teacher Certification is awarded. Business Procedures Jurisprudence: Students will learn how to set up their own practice and how to avoid legal complications. Standard disclaimer forms will be presented, which should be used while practicing any aspect of alternative medicine. Of paramount importance for all practitioners is to have a safe, legally-protected, practice. As a service provider, one is subject to laws and one may be sued by unhappy clients. Dr Wilson provides background on our legal system as well as occupational laws and how they affect holistic health practitioners. (interesting reading for those already in the field) The course covers many topics that will help make you and your practice less subject to legal difficulties. Among these are words to use and words to avoid, how you present yourself and how to talk. Others are disclaimer, disclosure and consent statements, including sample forms you can use in your practice. Other topics are membership organizations, ministry programs, statutory and constitutional safeguards, as well as the Ninth Amendment. Successful completion of 80% or higher the student shall receive a certificate with our gold embossed seal. This home study course includes all textbooks, workbook and study guides as well as written test and grading. Additionally, personal guidance and counseling is available to students in this course. AccreditedNAIC, and or SMOCH, NCBTMB, , Suitable for credit towards all SCNM Degree Programs. (HS 20hrs). All teaching agreements must be signed and all requirements met in full for full SV Teacher Certifications to be awarded. The study materials you receive once enrolled in the SomaVeda® Thai Yoga Teacher Certification Program include books, media and necessary lab materials. Books and materials are distributed as required throughout term of course. Additional Books, home study course (Legal Guidelines) and materials fees are not included in TCP and must be paid separately. The SomaVeda® Teacher Certification Program is designed to be done “in life”. That means you are able to integrate the training into your existing life situation. It consist of four direct modules a beginner, intermediate and advanced with a few hours of home study. These modules are offered between six (6) times a year at our Brooksville, Florida facility and school. If you did the 4 required in class modules back to back you could easily complete your requirements in less than twelve months! If you did one module per year you would complete the requirements in approximately 3 to 4 years. The pacing is entirely up to the student, you! The question is “When do you want to begin teaching?”. Can I take extra time to complete the program? The amount of time varies from student to student. Some finish in 9 to 12 months, others take up to three years to complete their studies. There is no set time limit, so you can take as long as you like. However, we do feel that in order to maintain your momentum it is best to study on a regular basis rather than just once or twice a month. What are the legal implications of Teaching and practicing SomaVeda® Thai Yoga? Under our program SomaVeda® Thai Yoga, Thai Yoga Massage, Yoga Therapy , Ayurveda and related healing arts taught and practiced in our program are legal in all 50 states! The TCP Program dedicates an entire module to the legalities of teaching SomaVeda® Thai Yoga in the United States. We’ll teach you all the right tools to develop a successful SomaVeda® Thai Yoga Program for your self and your students. Additionally, SomaVeda® teachers become part of the NAIC, Inc., a Native American Church and an expressive Private Member Health Association and are given authority to legally teach and practice the authorized healing and counseling modalities, Yoga and Yoga Therapy without restrictive and or unnecessary licensing anywhere in the US while following our established guidelines. All necessary agreements, forms etc. are furnished at no charge to our Certified Teachers. NAIC SCNM graduates are eligible for NAIC Ministerial Ordination. Includes intermediate CTP1, CTP2, advanced CTP3, and CTP4 Teacher/ Facilitator Intensive as working assistant in total hours. * To qualify for the $5,243.00 price, you must be registered for one of the housing plans, either dorm or camping. Housing fees are due 60 days before each required module. As this program includes self paced and home study options we cannot specifically estimate the completion time. However, if dedicated more or less full time we would expect an average student to complete all of these requirements in 9 to 24 months with no transfer credits. CEU already completed would have to be deducted from the estimated completion time. Certification is for CYTI and CTT (Certified Yoga Therapy Instructor and Certified SomaVeda® Thai Yoga Teacher). There is an Instructor Agreement including continuing education and NAIC membership requirement to maintain Certified Teacher status. Incremental Donation Plans available. We can help you work out the best donation plan to work for you! Please note: Important! The SomaVeda® Teacher Certification Program is included at NO extra fee in our ASA, BSSc, BASScM, DSNM/ND and or Doctor of Philosophy in Ayurveda (Ph.D. Ayurveda) programs! Planned easy payment options available. Call the office for a personal interview and application for enrollment today! We are confident this program represents easily the most sophisticated Yoga Ayurveda based Certified Teacher Training program of education currently available. You get to say at what level you want to practice. From entry level to master practitioner, teacher and or Doctor of Natural Medicine/ Traditional Naturopath! Our new Associate of Sacred Arts: Major- Traditional Natural Health, Bachelor of Applied Science in Yoga Therapy, Bachelor of Applied Sacred Science in Massage Therapy College Degree, Doctor of Sacred Natural Medicine and or PhD Ayurveda Diploma Program offers the possibility of developing an Authorized practice! No separate licensing necessary. Valid in all 50 states. 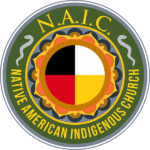 Native American Indigenous Church College of Natural Medicine (NAIC) operates in compliance, as a degree granting institution through exemption, by the Florida State Board of Independent Colleges and Universities under Section 1005.06 (1) (f), FLA Statutes. The state, like other states, does not require accreditation or theological accreditation for our religious education based programs. NAIC is an Integrated Auxiliary of the Priory of Saving Grace.